Firstly, I would like to thank Simon & Schuster Canada for providing me with an Advance Reader’s Copy of The Blue by Lucy Clarke as well as photos that were taken by Lucy herself while she was doing some research for the novel. Psychological thrillers are one of my favourite genres to read and when I was offered an ARC of The Blue and after reading its synopsis, I was more than excited to read and review it. As I had never heard of The Blue or Lucy Clarke previously, I went into The Blue blindly in hopes that I would enjoy the ride, and I definitely did. 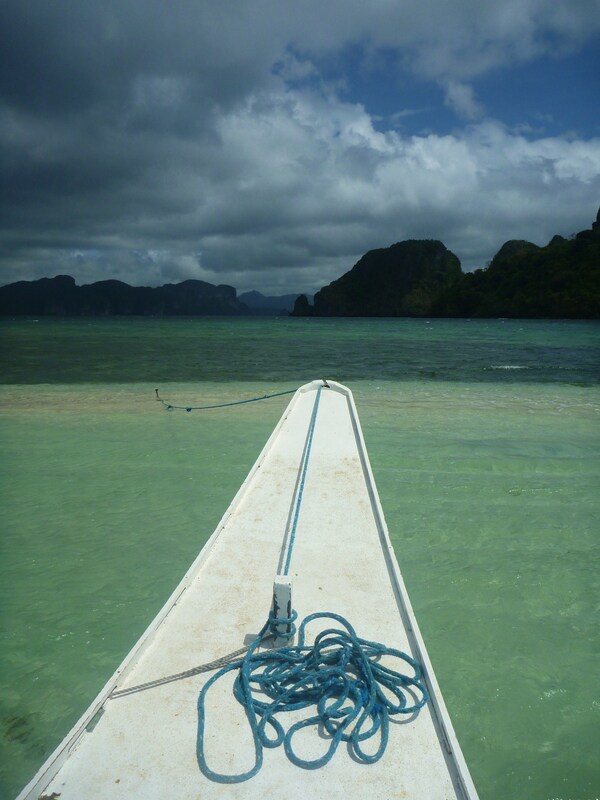 Goodreads Synopsis: In the tradition of Alex Garland’s The Beach, a spine-tingling adventure novel about a group of friends whose journey around the world on a yacht turns from a trip to paradise into a chilling nightmare when one of them disappears at sea. A group of friends. A yacht. And a disappearance-at-sea that turns paradise into a chilling nightmare. Lana and her best friend Kitty leave home looking for freedom—and that’s exactly what they find when they are invited onto The Blue, a fifty-foot yacht making its way from the Philippines to New Zealand. The crew is made up of a group of young travellers bitten by wanderlust, and it doesn’t take long for Lana and Kitty’s dream of sea-bound romance to turn into reality. Both women fall under the hypnotic spell of The Blue, spending their days exploring remote islands and their rum-filled nights relaxing on deck beneath the stars. But when one of their friends disappears overboard after an argument with another crew member, the dark secrets that brought each of them aboard start to unravel. At turns gorgeously scenic and entirely haunting, The Blue is a page-turning thriller about friendship, freedom and wanting to leave the past behind. The Blue tells the story of two young women, Lana and Kitty, who have recently decided to travel around the world. While in the Philippines, they run into a group of friends who have also been travelling the world uniquely on their own private yacht. Lana and Kitty decide to join the group for as long as their money will last. As the plot thickens, we find out that there is a lot more to learn about each of the friends living on the yacht, Lana & Kitty included. This photo belongs to Lucy Clarke, courtesy of Simon & Schuster Canada. The writing style was solid throughout the entirety of the novel. Lucy Clarke knows how to give just the right amount of detail. Nothing irritates me more than having too little or a ridiculous amount of detail. The Blue had just that perfectly right amount. 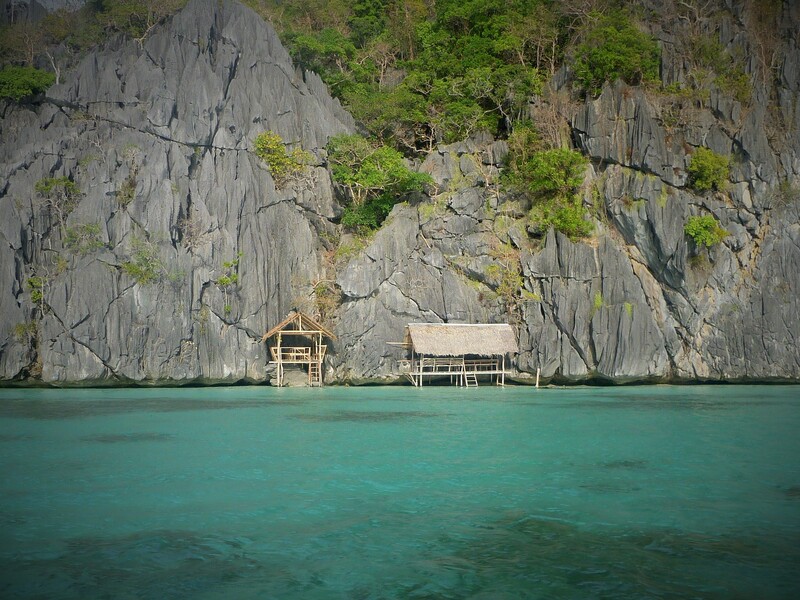 I’ve never been to the Philippines, I’ve never been outside of Canada to be quite honest, but yet I found it very easy to visualize cruising on a yacht and exploring islands along the ocean. I love when a story travels between two timelines, especially within a psychological thriller because it gives that sense of a before and after. I really enjoyed the aspect of flipping back and forth between the “before” with Lana & Kitty’s experience on the yacht and the “after” with Lana now living in New Zealand while trying to figure out the events that took place to make Lana decide to leave the utopian lifestyle. Almost every chapter left you with the sense of needing to continue reading in order to figure out what was going on. There were definitely a fair amount of twists and cliffhangers throughout the entire novel that kept me entertained and making guesses. None of them were extremely mind blowing, but they were enough to keep me intrigued. The characters all felt really well thought out and worked well together to form an interesting cast. Everyone on the yacht had stumbled upon one another in unique ways and it was interesting to know that none of them knew each other very well before joining the group. This detail also made it really hard to determine how genuine each person was which always makes for a fantastic psychological thriller. You learn a lot about each character as you read through each chapter and everyone knows I’m a sucker for a great origin/back story. I feel as though Lana, Kitty, Joseph, Aaron and Denny had more detailed pasts than Heinrich and Shel. I wish I could have learned more about all of these characters, especially Heinrich. What I love most about a psychological thriller and what I think makes one successful is an unpredictable turn of events. Although the twists and turns throughout the novel were rather subdued, I did not predict the ending. I tried and I had my theories, but I was definitely incorrect and I’m glad that I was! Not only did I not see the ending coming, there was an epilogue that left me with chills and goosebumps. 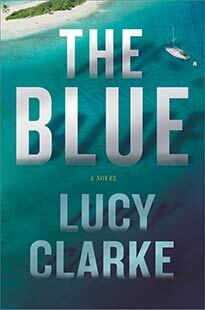 I highly suggest reading The Blue if you are fond of psychological thrillers, mysteries and suspense. The Blue tells a story in such a way that you feel as though you are living through it. As I stated earlier, I have never been outside of Canada. I have travelled from the East to the West coast, but The Blue has left me with a need to travel overseas, although…I may steer clear of yachts for a while. Previous Post My SECOND Trip to the Book Outlet Store + BOOK HAUL! You have some great choices in books! I’m glad to find a fellow eclectic reader. As far as this book, I agree, the alternating timelines add to the thrill.